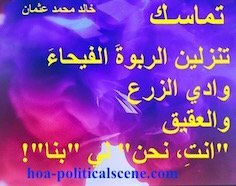 The Best Sudanese Political Articles are Here to Enjoy Reading and Commenting! 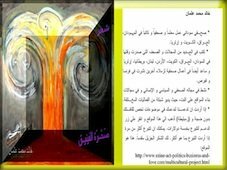 The Sudanese Political Articles Highlight the Political Deterioration! The Sudanese Political Articles whether they are in English or in Arabic are in this site map and in other primary and secondary site maps. The articles highlight the fraud and the misleading of the feudal, sectarian and allegedly religious junta. I have published this page to index the political articles on Sudan online and made it the site map number 7 A, as we have got many political articles and comments on Sudan and the website is getting bigger and bigger. So obviously, this site map comes to reorganize the website and make each of your browsing and reading experiences on the English HOA Political Scene Blog and the Arabic HOA Political Scene easy. It includes some of the Sudanese political articles on the primary pages. However, there are some other Sudanese political articles written by visitors on the secondary site map at comments on Sudan. In addition, it will always be better to browse through the navigation column at the left, as it includes links to the primary site maps and the secondary site maps, as well. The names of the countries in the Horn of Africa, you see through the navigation bar make some of the primary site maps in this network. While the secondary site maps includes articles submitted by the visitors of the website. Most importantly, we value your contribution to this network. So take your time and enjoy reading. If you decided to comment on some Sudanese political articles, just click on the page you want and add your comment through the form on that page. The Sudanese Political Articles Index! The Sudanese Political Articles Index includes some more primary pages about Sudan on this website. 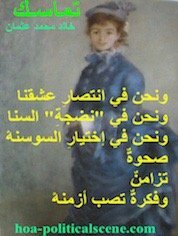 Here are the pages with their descriptions and links in English and Arabic. To read the Arabic version of the political articles on Sudan, see site map 7 C at Sudanese Arabic Political Articles here. 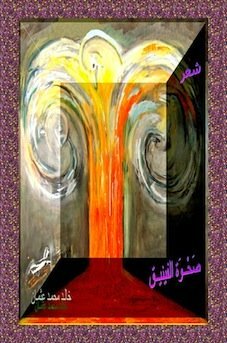 ** The Political Tragicomedy in Sudan gets observers to be lost in the political labyrinth made by the military religious dictatorial regime, since 1989. They continue to lose track of the political deterioration, since 1983, when the second Sudanese military dictator Jafar al Numeri influenced by the leader of the Muslim Brotherhood, the then called the National Islamic Front (NIF) to implement what they call the Sharia Laws. The NIF succeeded when they carried their coup against the civilian government in 1989 and brought Omer al Bashir to power. They started to play the political games in the labyrinth they made with the Sudanese Opposition by killing the NIF and creating the People's Conference Party. ** The Politics of Myth in Sudan has prevented many folk to read the political events in the country correct and then see the light better. The military religious regime invests in this area by pouring some more aches on the eyes and maintaining its security elements by wealth and power to control the political street in the country. Could you fight the politics of myth in Sudan? You can fight the politics of the myth and keep the people aware of using it to destroy their positive abilities to achieve democracy and justice in Sudan. ** The Referendum in Southern Sudan completed the political plot made by the military religious regime and the weak sudanese sectarian parties. The secession of the South Sudan weakened the entire political opposition and the population both in the North and in the South were lost in between. In addition, all of this proves that the Sudanese Dictatorial Regimes know how to dig and deepen the political labyrinth in Sudan. However, it was happened that way, while fears escalated during the preparation for the referendum in Sudan in the absence of sincere national solutions to raddled, incoherent, ethnical and sectorial problems and the requirements of independent state. Not only those evil military regimes, but even the Sudanese Sectarian Parties have deepened the cultural, economical and political gaps in the country forgetting that the one million square miles country needs to keep the integrity of its national soil intact by paving the way to democracy, justice and cultural understanding. ** This policy of the dictators in Sudan makes the South Sudan odds reveal the dynamics of conflict and the predicaments of peace. You can read, or download this document to enrich your knowledge about the political problems of Southern Sudan and the overall development of the political situations in the entire Sudan. ** Meanwhile, the Sudanese Opposition in Juba Alliance and elsewhere proved until this moment to be weak and lacking strong mobilizing mechanisms to energize the Sudanese uprising against the worst dictatorship in Sudan. They say that the political situation of Sudan has become permissible on a regional scale and international scale, describing this situation as isolation of the Sudanese people, who are in fact the real source of interest in Sudan. Let us mobilize this weak opposition. ** The Sudanese Political Parties create complicated political problems in Sudan. The Sudanese Communist Party seems to be the only Sudanese party to know this fact. Therefore, it calls for rationality to get out of the narrow and dark political tunnel. In fact, the political deterioration in Sudan continued from the starting day of the independence whether we admit it or not. We could find the proofs of the political problems in Sudan when we track the evil circle of the military coups since that day and the periods of the civilian dictatorship led by the sectarian and feudal parties. All of the occurrences in this circle proofs that the Sudanese Sectarian Parties have never learned from their historical political mistakes, or perhaps they are unwilling to admit guilty. ** The British lead the Save Darfur Coalition to maintain their interests in Sudan. Time has arrived for the Sudanese people to work through their own political network to overthrow the dictators. It is obvious that the conspiracy pays itself. Those who fuel it in the Sudanese military religious regime and in the international power have their own interests in the crisis in Darfur. Many Sudanese political articles will continue to fall here on the second section of the page below the form regularly. So, expect to read more Sudanese political articles here. If you liked them, please use the "like" and the "Tweet" buttons at the top of the page to express your love. Use the small buttons below to share Sudanese political articles with your social media. Many thanks. Now we are here at the closure of the Sudanese political articles. But, you know what? There will never be any end to this page. It starts from its end too. Just see the form below and use it to write Sudanese political articles. If you want to write about the political events on other states, use the form on that page. If you want to write about the cultures in the Horn of Africa, use the form at the HOAs Cultural Project, OR ANY OF THE CULTURAL PAGES. Just choose the relevant page for your cultural topic. You can even write about beautiful places in the Horn of Africa on my daughter's network of beautiful sights at Any Beautiful City, or read and write about such topics in movies at her website TVCinemaApp. Comments on Sudanese political articles appear at the second section of the page above this paragraph and below the form you see on the page. 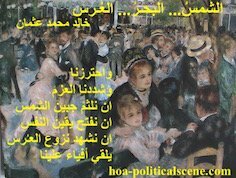 If you have not commented on the Sudanese political articles yet, please do that now. I use the following strong website building and optimizing tools below to empower the Sudanese political articles, whether they are in Arabic, or in English.